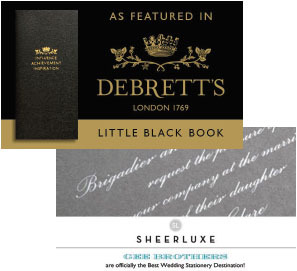 To ensure that your wedding service proceeds as smoothly as possible, an Order of the Day or Service is essential. 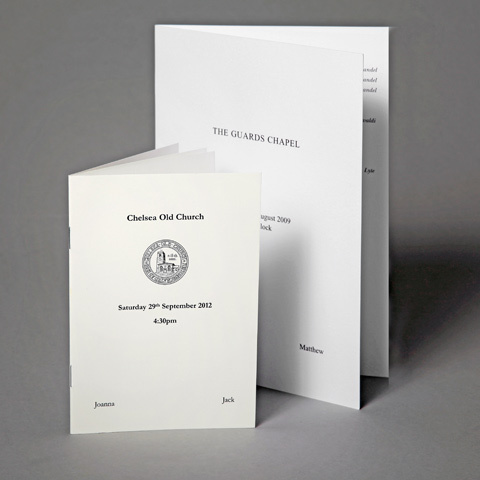 It is available in two sizes, A5 and A6 and in a number of page options – 4pp, 8pp, 12pp and 16pp. The A6 size is becoming increasingly popular as it fits in a pocket and clutch. 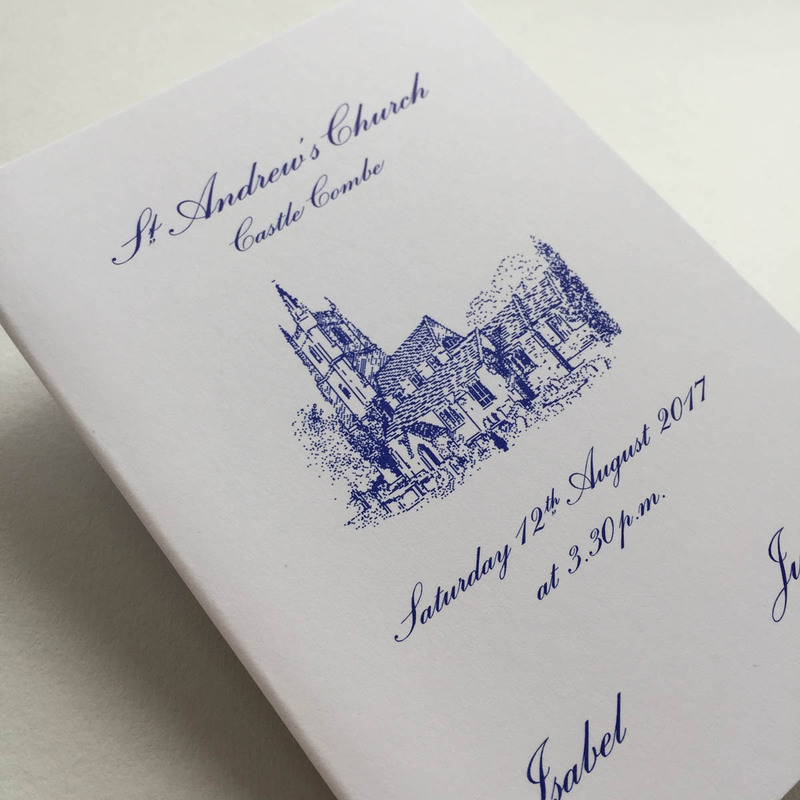 Please note: it is really helpful if your wording is correct and has been approved by everyone concerned (including your vicar/celebrant) before forwarding to us. This will ensure that the process runs as smoothly as possible. 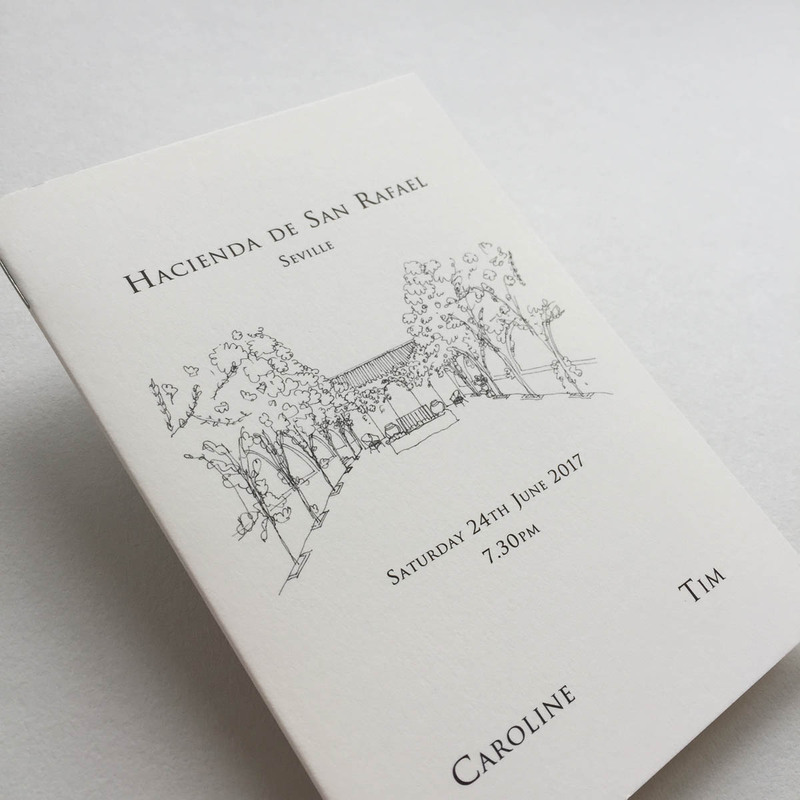 If you require a more bespoke Order of Service eg. 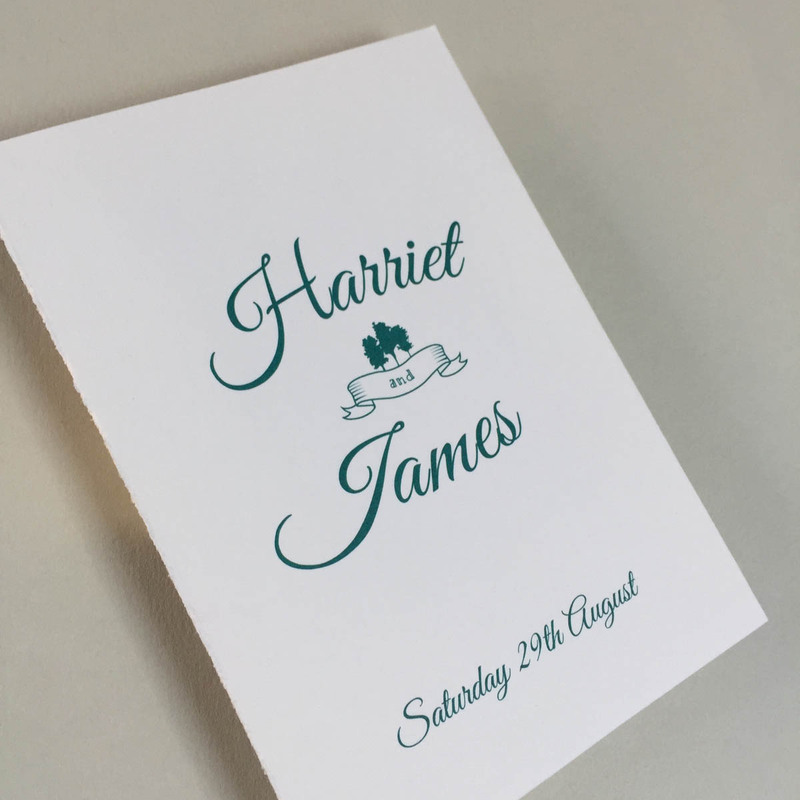 a different colour ink or card, bow-tying, tassels, a colour-printed cover, please contact us to discuss. Front page details: First names Motif/Illustration/Initials Date Please upload or email file with service content. Please allow three to five working days to receive a proof (as a PDF document) via email and eight to ten working days after approval of proof for despatch of goods. Please note that these are target times and not guaranteed. During certain busy times of the year (March-June) it may take a little longer. This website uses Google Analytics, Facebook Pixel to collect anonymous information such as the number of visitors to the site, and the most popular pages.